A visit to a food pantry in San Ramon led to expansion of our mission. Francisco is co-chairperson of the food pantry at our church and was excited at the opportunity to visit a pantry at the Catholic Church in San Ramon. When we got there, we met three ladies who told us stories of hunger and lack of food security for many people in the community. And the cupboards were bare. We looked at each other and each knew immediately what the other was thinking. We had to help. We made a contribution and have expanded our mission to include not only students at the schools, their teachers, and their families, but also the communities where they live. 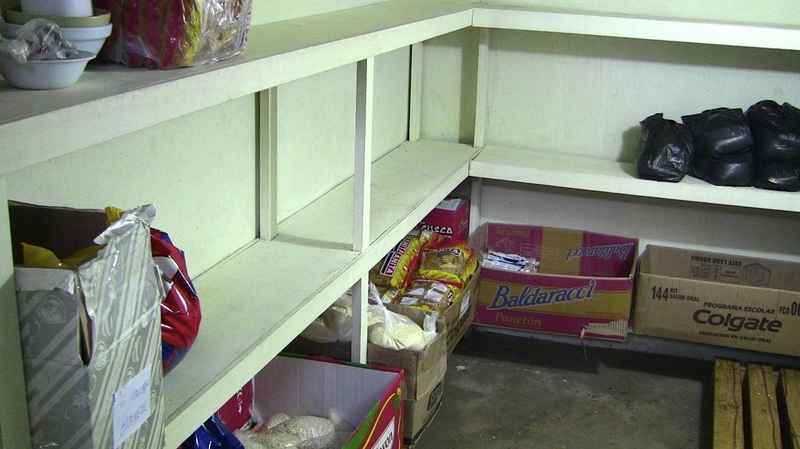 We don’t know how many families of students at San Manuelito might utilize this pantry, but we do know that many of them live in extreme poverty.